In this blog, let me describe briefly on my views regarding the adoption, role and impact of IoT in the automotive space and how the OEMs and other players in automotive space are embracing IoT to improve their business. While the entire automotive industry is undergoing a technological transformation, there are a few manufacturers that are ahead of the others when it comes to innovation. The recent Mobile World Congress that was organized in Barcelona was attended by many of these manufacturers that are doing noticeable work to accelerate the arrival of the car of the future through unique combination of technologies, expertise, and partnerships. One of the most developments was SAP’s partnership with Hertz, Nokia, and Concur Technologies. – Recent blog by RONALD VAN LOON highlights the connected car platform and security advancements . Can OEMs Solo-Play the game to sustain and improve business? I feel – NOT ANYMORE. There are wide variety of expectations from the consumers which are to be addressed by the OEMs quickly and be the early adopters of latest technology trends to gain the market share. OEMs must have different partnerships established in order to meet these demands. Every Vehicle coming out of the plant now is enabled with hundreds of sensors to track, monitor and provide useful insights to the customers. The level of useful and critical alerts/ information that could be provided depends on how much data could be collected from vehicles. Vehicles are now self aware that could process lot of data in real time and take necessary actions seamlessly to avoid mishaps. This capability of processing the data on the vehicle itself could be related to Edge computing. IoT and BIG data platforms which are mostly on cloud, on the other hand provide actionable business insights by analyzing the present and past vehicle data. Not all Vehicle OEMs are capable of providing complete sophisticated experience to their customers. OEMs are establishing strategic partnership with many strong players to get the best experience delivered to their customers. Cloud players ( mostly offering IoT platforms ) come into play in order to capture the IoT data, analyse and provide analytics capabilities which is key in deriving business values to the manufacturer or service providers like fleet operators. Vehicle IoT data are collected, analyzed and also compared with the history available to derive usage patterns, provide business critical insights, improving the performance of the vehicle designs,etc. Cloud Platform Providers enable the automotive players to bring in data from two worlds – physical world data (from IoT sensors in vehicles) and the business world data (ERP data) – and to perform different analysis on them which was not possible before we had similar IoT platforms. 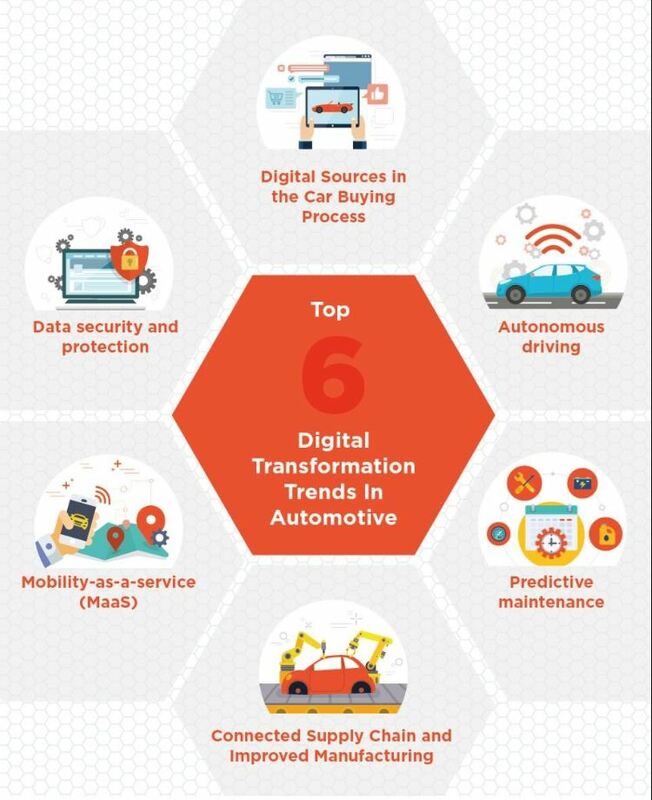 Vehicle OEMs and their partners and customers have already started looking into many new business models by leveraging the IoT data which opened up huge opportunities for business leaders to think many innovative solutions and services to accelerate their market share and adoption. Future of Automotive seems really innovative and exciting. Vehicle users would experience brilliant automation and ease of operation & maintenance. Share your thoughts as well to add more info on the topic.